I stayed at Centro Paolo VI in Brescia and visited Verona on a day trip. This meant I could stay in a palace hotel in Brescia for the same price as a regular hotel in Verona. Verona Arena is located in the center of Verona. It’s located in the largest square of the city, Piazza Bra. 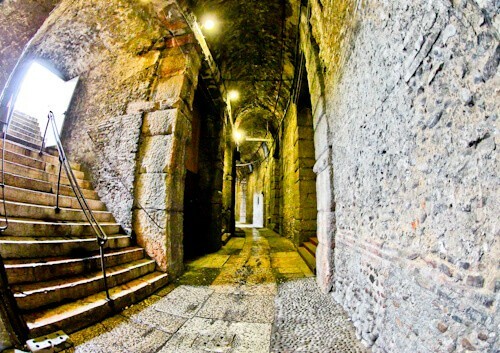 The city of Verona is a UNESCO world heritage site. This makes the arena a UNESCO site too. Verona is well connected to other Italian cities therefore it’s possible to visit on a day trip. 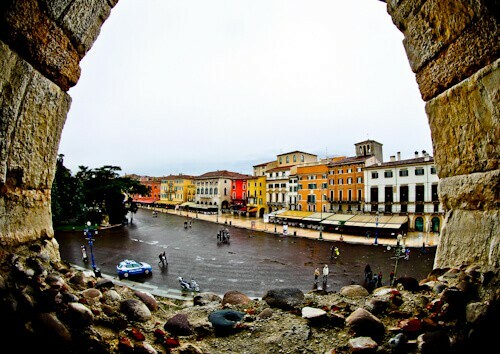 You can easily make a day trip to Verona from Venice, Bologna, Lake Garda and Brescia. It’s also possible to make a day trip from Milan. Verona is well connected by train. Another service well connected to Verona is the Flixbus. Verona Arena is known in Italian as Arena di Verona. It was built in the first century. 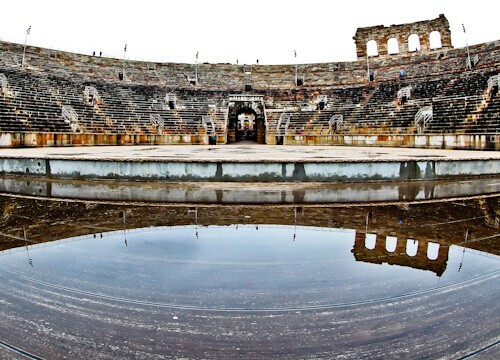 It’s one of the best preserved Roman Amphitheaters in the world. In the first century and beyond it was used to host shows and games known as Ludi. Ludi performaces are no longer hosted here. It’s now famous for it’s live opera shows. Furthermore, famous groups and singers perform here. Acts to have performed at the Verona Arena include Paul McCartney, Pink Floyd, Duran Duran, The Who, Dire Straits and Whitney Houston. More recently One Direction and Adele have performed at the Verona Arena. As a result you can watch modern acts in a historic location. Fans of British TV series Inspector Morse will remember an episode filmed here. The arena opened in the first century with a capacity of 30,000 spectators. Today the capacity is 15,000. Health and safety is stricter now than in the first century. You can no longer pack as many people in as possible. Inside the arena you’re free to climb wherever you want. You can also explore the internal stairways and arena access points. A good place to take your Instagram photos is from the royal box. This is where the most important Romans viewed the action from. 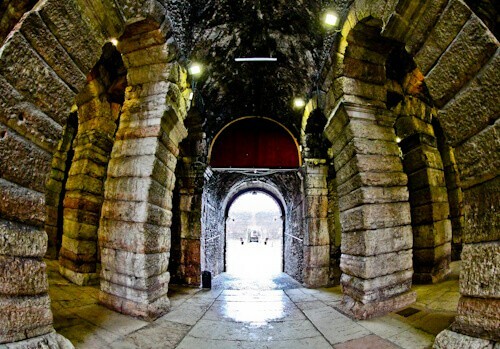 The arches of the arena offer wonderful views of Verona. If you ascend to the top of the arena you can walk 360 degrees around it. In addition, you’ll get a good leg workout. From the top you can see the colorful rooftops and landmarks of Piazza Bra. You’ll also get the best view of Verona town hall. The Roman architecture was very advanced. The design of the arena meant unobstructed views from every seat. There are several entrances, each at different levels. Whilst exploring the interior you’ll see how it was constructed. There are columns, hallways and staircases. In addition you’ll see the huge entrances and doors. This is how the beasts were brought into the arena. Verona arena is famous today for its live opera performances. If you’re lucky a famous music star will be performing a concert when you visit. Nevertheless, you must check out the event calendar before visiting. Is it better to watch the opera in Milan Opera Theater? Or is it better in a 2000 year old Roman Amphitheater? That is a difficult decision! If you’re planning a visit for the future make sure to combine it with an event. The best place to take your Instagram photos in the royal box. I have a tip if you want to take a photo of the whole arena in one shot. I recommend you put your phone into panoramic mode. You must also hold your phone vertically. 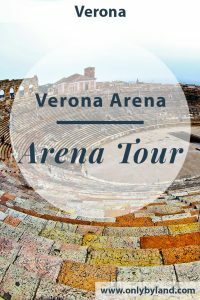 This will ensure you have great photos to remind you of your day at Verona Arena. Check out the Pula Arena, Amphitheater of Pompeii and Colosseum of Rome. What to see in Verona. I’m a huge Adele fan – I would have attended both her concerts here if I was in town! What a location to hold a concert – I’m going to check out future events. It’s hard to believe this was constructed 2000 years ago! It really boggles the mind to try and comprehend something that was built in the first century. Like, is that even a possibility? But it looks so amazing and I feel like the walls have so many stories to tell. I wouldn’t be able to keep myself from walking around with my mouth hanging open, and even being around to catch an opera would be totally bucket-list-worthy! Wow, this Roman Ampitheater looks just as impressive as the Colosseum in Rome! I think I’d rather watch a Paul McCartney concert than an opera. What an experience! Your panoramic of the arena is amazing – did you have the whole place to yourself? I’m on a quest to visit as many Roman sites as possible when I visit Europe. Verona Arena is a must, I can’t believe this exists and I haven’t heard of it. When I hear the name Verona, I always think of Romeo and Juliet first. I do regret not going there when I visited Venice. The amphitheater looks amazing and you’ve got some great shots of it. I have never been to Verona, the amphitheater alone is enough to persuade me to visit though! I’d take so many photos in there – panoramic mode on my phone! Great article! I was in Verona last summer and I loved it! The Arena was one of my favourite spots, but, unfortunately, I was there for just one night, so I couldn’t see any shows. Anyways, it’s a good reason to go back. Thanks for all the historical facts about the place and the tips for the pictures! 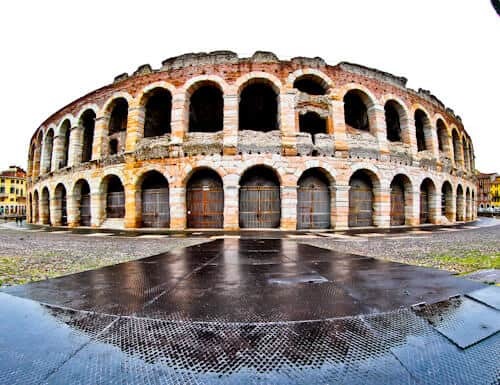 I haven’t been to Verona yet but when I do the arena will be my first priority. An opera show sounds exciting! The production looks amazing judging by their events calendar. Italy is really blessed with great architectures. Good to know that you can visit this place for a day. Interconnecting to other more popular sites could be easily accessed. Nice photos btw! I enjoy reading your Italian Tales and this place simple blew my mind. Such a gorgeous Roman Amphitheater. I would love to attend a music concert someday here. I simply love capturing achiteures like this. 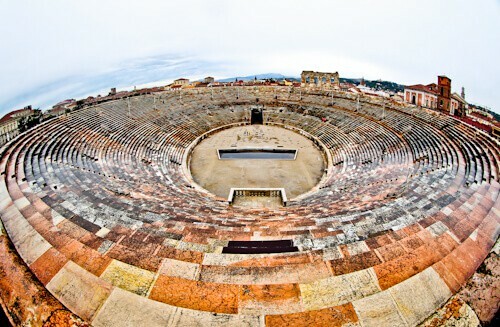 Now Verona arena is on my list.